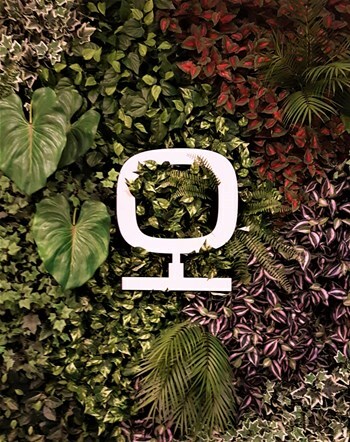 Accompanied by cutting-edge technology and advanced ingredients to fight against skin aging, with specific solutions to maintain the health of your skin and restore it's youth. It was with great enthusiasm we had at our store, Liliana Rosa, Skinceuticals specialist, available to answer any questions of our customers and readers. And it was also with gerat satisfaction that we had so many people interested at this livechat! Therefore, we summarize here some of the most pertinent issues raised by our customers with the confidence that can also be your doubts! 1% Phloretin, 5% L-ascorbic acid, 0.5 percent Ferulic acid: an optimal concentration of these antioxidants, which act synergistically to combat the attacks free radicals, prevent the signs of premature aging and correct the existing ondes such as fine lines, wrinkles and uneven skin tone. So, in this formulation, you have a cocktail that helps prevent the signs of aging, corrects the existing damage, helps to fight signs of fatigue, giving a fresh and vibrant appearance. The A.G.E. Interrupter helps prevent glycation process and to correct the severe signs of aging skin, with a triple action: Anti-glycation and, Anti-Anti dark circles. Anti-aging results unmatched by a single formulation that combines components that improve noticeably the signs of aging. SkinCeuticals antioxidant are specifically developed and clinically proven to provide the most advanced protection against aging caused by environmental aggressions. When used together, antioxidants and sunscreens SkinCeuticals give ultimate protection, preventing the signs of photoaging and promoting great skin health. This broad spectrum treatment, not only protects against free radicals, but also the whole range of reactive molecules, known to cause damage and mutations of DNA across the cell type integrals. At the same time, correct the existing damage, stimulating the synthesis of essential proteins and fibers, accelerating cell turnover. Is a daily moisturizer and comprehensive corrective that corrects noticeably the appearance of signs of photoaging, to lighten the complexion, reduce wrinkles, enhance elasticity, and fix the grain of the skin. 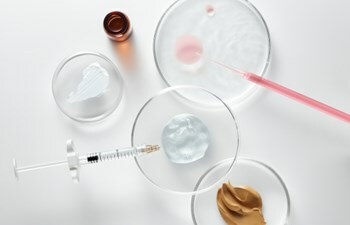 Developed in an aqueous emulsion is formulated with a high concentration of NIACINAMIDE (B3) the 5%, combined with a tripeptide 2.5% concentrated and 15% glycerine Metacell Renewal B3 is an all-in-one cocktail that aims at the correction of the first signs of photoaging. This treatment, developed with a comprehensive technology "multi-layer"-Multitier, helps correct pigmentary stains caused by chronic exposure to UV rays and hormonal variations. This powerful product, without hydroquinone, helps to correct the widespread and localized hyperpigmentation, and prevent it's reappearance through continued use. The sun protection is the most effective weapon against skin photoaging and the appearance of premature signs of aging. In this sense, the use of a good sunscreen, is fundamental. This sunscreen, daily use and wide spectrum, contains Mexoryl SX and XL, to protect the skin against the effects of UVA and UVB, main responsible for premature signs of aging and hyperpigmentation. Features a high daily protection against the assaults of sun exposure, preventing the breakdown of collagen fibers induced by UV exposure. Roughness and Dull Complexion, without freshness, with large pores and rough to the touch. Fine lines and Wrinkles, fine lines appear in around the eyes and forehead, accompanied by dynamic wrinkles installed. High potency antioxidant serum, formulated with the aim to neutralize the damage caused by free radicals, by increasing skin care protection UVA and UVB rays, responsible for the oxidative stress of the skin, preventing premature aging skin. This stimulates the synthesis of collagen and reduces the appearance of fine lines and wrinkles, by standardising the complexion and dimming spotty relief. There is a significant improvement in firmness and elasticity, achieved through its optimal concentrations, optimising the maximum absorption of antioxidants so this performance enhancing care. Our skin contains hyaluronic acid, which naturally gives firmness, volume and softness. But as the age advance it's reservations decrease dramatically, and the skin is wrinkled, flabby-looking and rough. 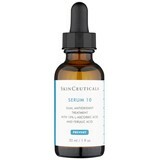 To counter instantly the lack of density, volume and reduce the appearance of wrinkles the Skinceuticals is proposing the anti-ageing serum H.A. Intensifier, a broker with 1.3% of hyaluronic acid in it's composition, to fill the skin and redefine the be outlines. Specifically formulated to improve the skin wrinkles, A.G.E. Interrupter, improves the appearance of fine mature skin, caused by intrinsic aging processes. With unparalleled benefits visible anti-aging results at the level of the sagging, elasticity and skin thickness, ensures a smoother skin and filled, and deep wrinkles decreased. With advancing age and the aging of the skin, accelerates the loss of natural compounds on the surface of the skin in the form of ceramides, cholesterol and fatty acids natural, undermining skin's natural protective barrier. The skin loses it's repair capacity, resulting in visible signs of aging such as dehydration, discomfort and loss of brightness. 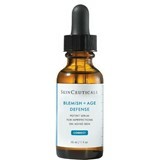 For these cases, Skinceuticals offers Triple Lipid Restore 2:4:2, anti-aging care with a unique formulation of maximized concentration of lipids.